Sights: UNESCO Fjord, Nærøyfjord, Bøyabreen Glacier, Suphellebreen Glacier, Norwegian Glacier Museum. 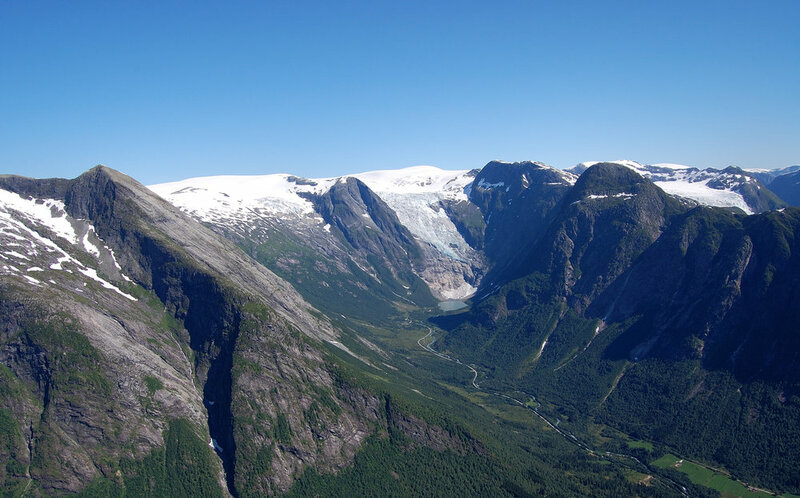 On our “Have it all” Glacier Tour, You will experience the fantastic Nærøyfjord with the UNESCO fjord and mountain scenery and the magnificent Jostedalsbreen Glacier in Fjærland on the same tour. The tour is a 2 days tour with overnight stay in Balestrand. On the tour you will travel through some of Norways most beautiful fjord scenery. You will allso experience the Aurlandsfjord and the narrow and dramatic UNESCO-protected Nærøyfjord. The tour include visit to Bøyabreen glacier and Supphellebreen glacier as well as the Norwegian Glacier Museum in Fjærland. The bus takes you to the Norwegian glacier museum, Supphellebreen Glacier and Bøyabreen glacier, and returns to Fjærland in time for departure with boat.